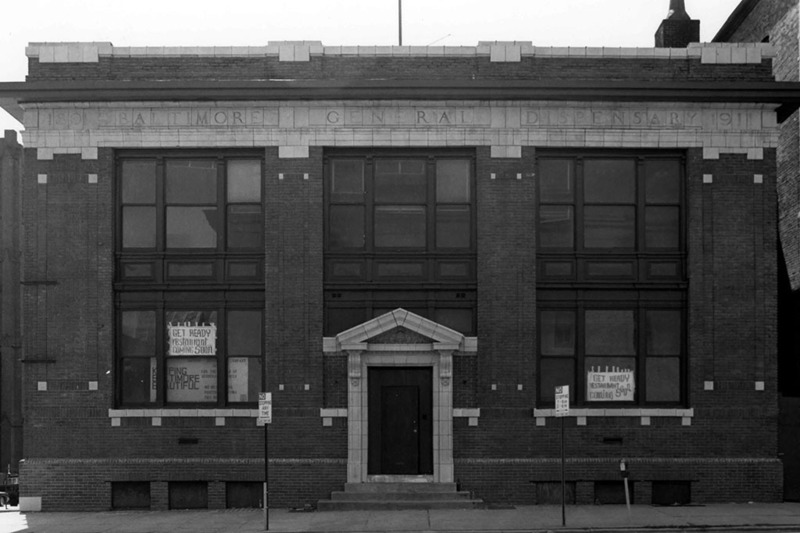 Up near the top of this handsome Neoclassical brick building at the corner of Fayette and Paca Streets is a stone entablature reading "1801 Baltimore General Dispensary 1911"—a visible reminder of this building's important past. 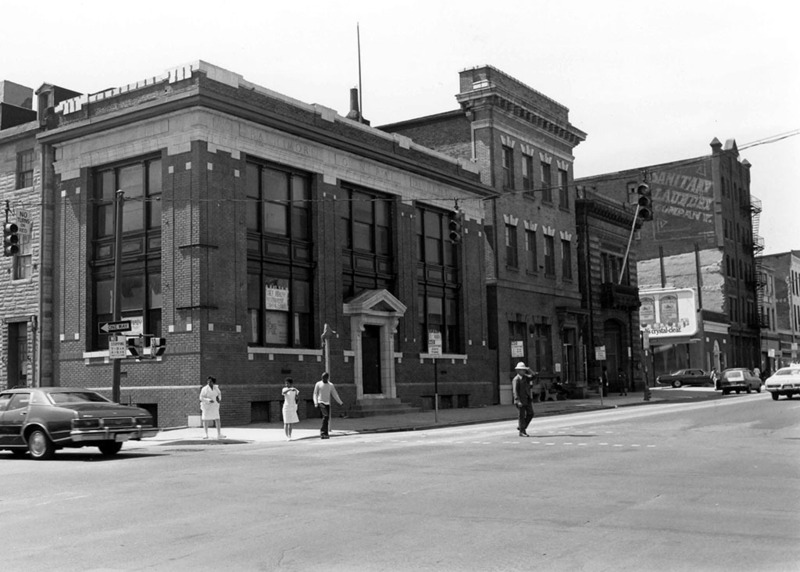 The Baltimore General Dispensary was formed in 1801 on West Lexington Street to provide medical care to Baltimore's poor residents. In its first year, the dispensary saw a little over 200 patients. 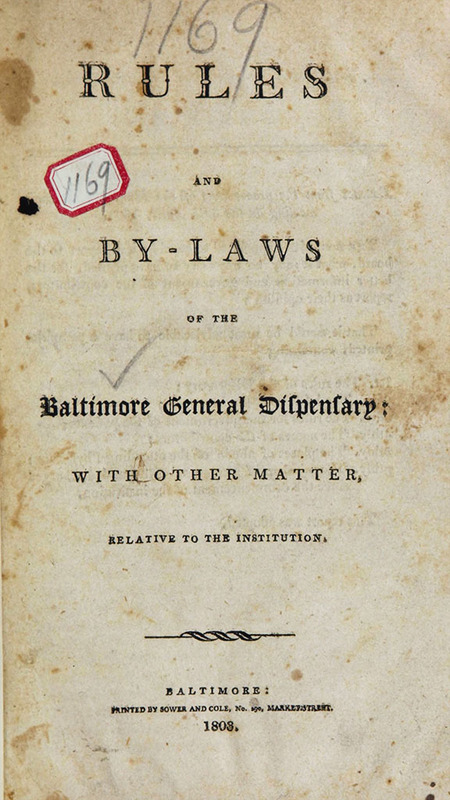 Before official incorporation in 1808, over 6,000 Baltimore residents had sought help from the charity. 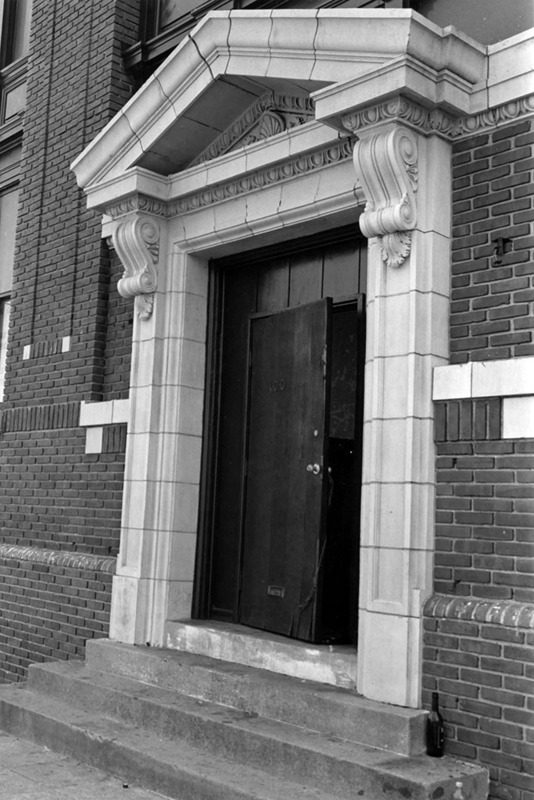 A second dispensary joined the first in 1826 and by the late nineteenth century the charity had established fifteen additional locations many affiliated with local hospitals. 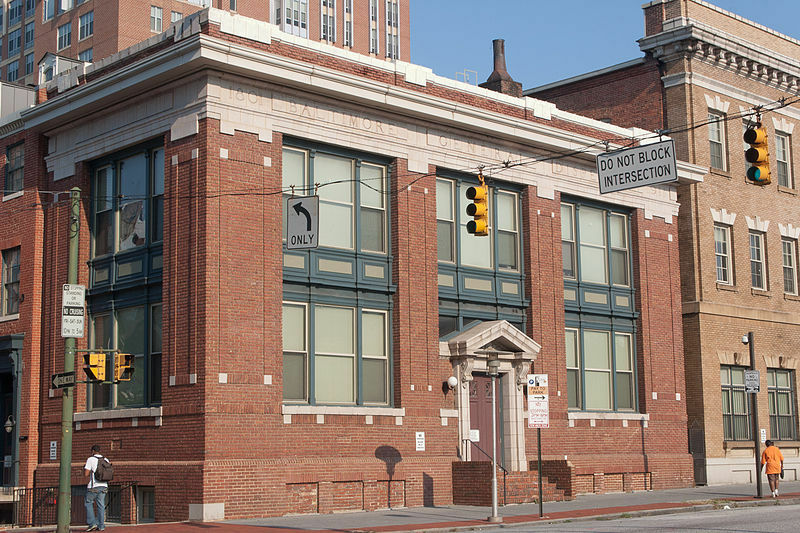 While the building is no longer owned by the group, the charitable work of the Baltimore Dispensary continues through a grant-making foundation providing funds to area hospitals for medicine in their outpatient departments. 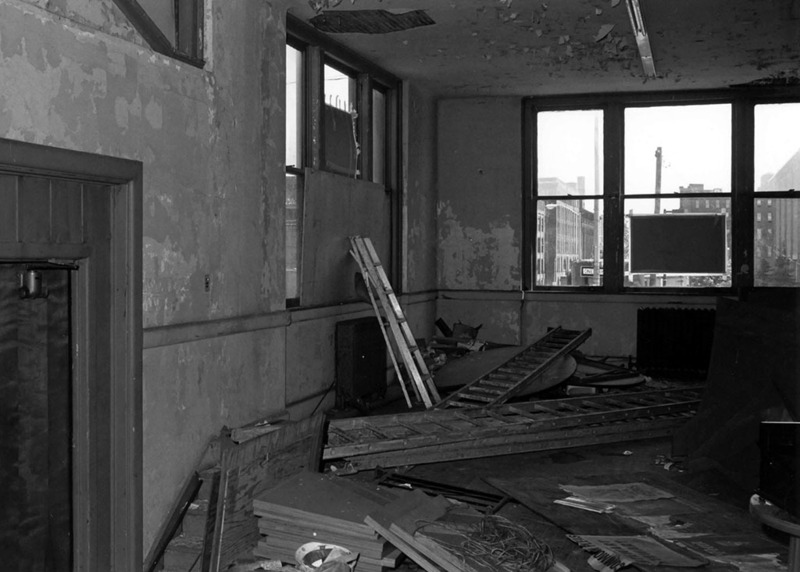 Considered a model of its kind, this building featured a large dispensary center on the first floor; however, due to the racial segregation enforced in many local institutions at that time, the dispensary was separated for black and white patients. 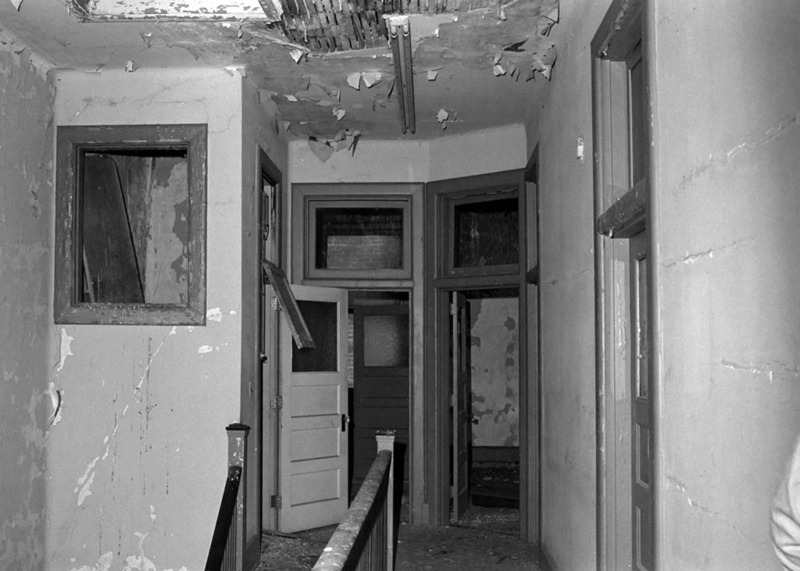 The rooms on the second floor for surgical and medical aid, including physical exams given by doctors, allowed the charity's poor patients a rare measure of privacy. 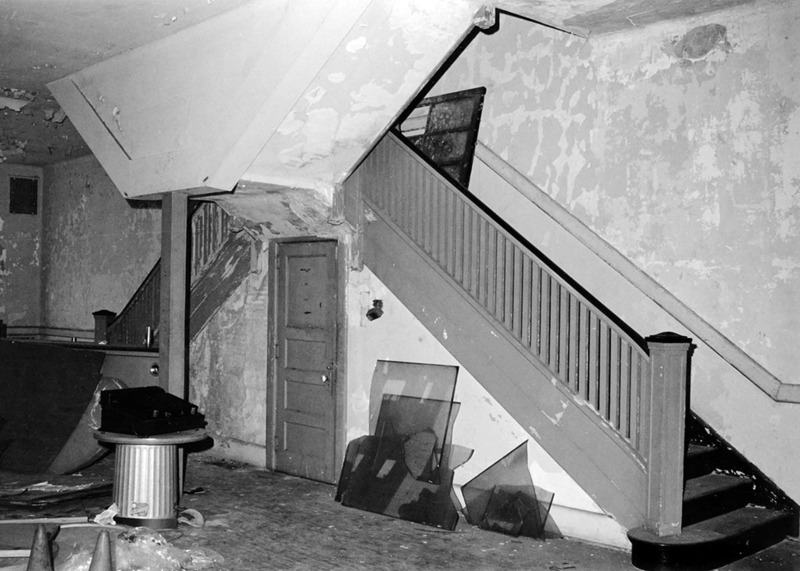 Theresa Donnelly, “The Baltimore General Dispensary,” Explore Baltimore Heritage, accessed April 23, 2019, https://explore.baltimoreheritage.org/items/show/122. Published on Aug 30, 2012. Last updated on Feb 12, 2019.